Welcome to Dixie Custom Wagons. We hope as you browse our site, you'll discover that our Golf Carts are not just plain carts. We can customize any cart or utility vehicle to fit whatever your need may be. 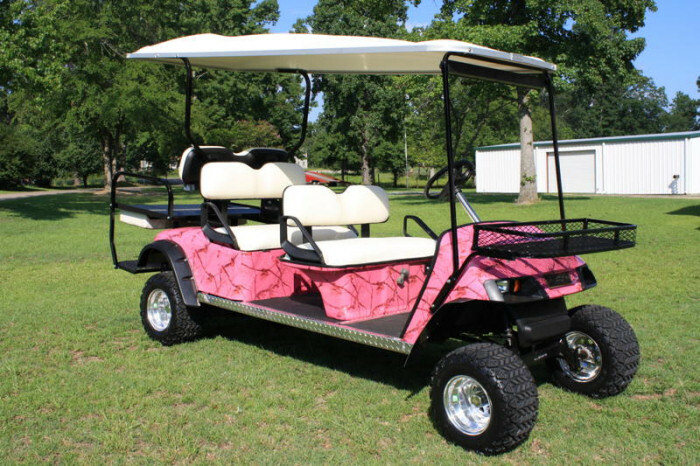 Check out our gallery section to see the 6 Passenger Carts and Camouflage Carts available at Dixie Custom Wagons. Hunting season is just around the corner and you don't want to miss out on the Camouflage Carts to get you to the woods and back. We also carry the camouflage enclosures that cover the whole cart for you to sit in and watch for the big one to come along.